The centre is in Futabanosato, Hiroshima. There is just four minutes walking distance to the Hiroshima station. An office space that offers a number of office solutions for your business, this centre offers co-working, private office and virtual office solutions on flexible and affordable terms. Support your business with the infrastructure this centre offers, and on-site staff that are on hand to assist with administrative and reception support. A fully-furnished office space with excellent views of the surrounding area. Contemporary furniture and fixtures are present throughout. Sizeable windows provide a great deal of light, creating an open and airy feel. Desks are equipped with phones. Soft, sofa seating can be found in the breakout areas. Positioned within the CBD of Hashimotocho, Hiroshima. The centre is easily accessible by public transport. It is a two minute walk to Kanayama-cho Light Rail Station and Ebisuchō bus station is a four minute walk away. In the vicinity, there are shops, restaurants, and hotels. There are also the Hiroshima Museum of Art and Hiroshima City Museum of Contemporary Art to visit during your stay. Located in Hiroshima's central business district, these serviced offices are housed in an award-winning architectural landmark, and are well equipped to meet the demands of modern day business. The spaces boast wonderful views of the nearby river. 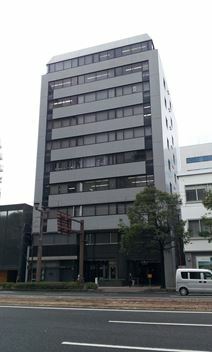 With easy access south towards Hiroshima Castle and the city"s business district this professional business centre provides a range of flexible office solutions and is surrounded by a range of shops, hotels and restaurants.